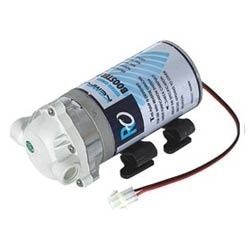 We are importers and wholesale distributors of complete range of RO Water purifiers spares, accessories and components which includes a wide range of domestic RO Booster Pumps. 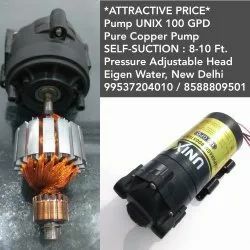 Submersible Cooler Pumps available in 20 and 40 W.
We are importer, wholesaler and supplier of RO Booster Pumps like Kemflo, AQ&Q (K-36, E-36 and E-100 models), DY-50, 100 and 250 GPD, UP right, CCK, Techo-100 GPD, DOwflo-75 and 100 GPD, E-Chen 75 and 100 GPD and others. 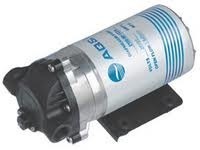 Our range of RO Booster Pumps are known for high performance and long working life. Clients can avail these at affordable prices in the market. 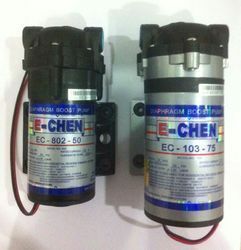 We are a leading Manufacturer & wholesaler of E Chen RO Pumps. Our products are finely fabricated with the use of modern tools, latest equipments and advanced technology, Our clients can avail these items at reasonable rates in different grades and dimensions. 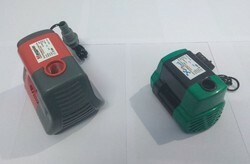 Domestic RO Booster Pumps: Packing / Box 1 E-Chen 50 GPD 10 Pc. 2 E-Chen 75 GPD 10 Pc. 3 E-Chen 100 GPD 10 Pc. 4 E-Chen 150 GPD 10 Pc. 5 E-Chen 300 GPD 10 Pc. 6 E-Chen 500 GPD 10 Pc. 7 E-Chen 600 GPD 10 Pc. 8 E-Chen 800 GPD 10 Pc. 9 Grand Forest 75 GPD 10 Pc. 10 Grand Forest 100 GPD 10 Pc. 11 Grand Forest 75 GPD (White Head) 10 Pc. 12 Grand Forest 100 GPD (White Head) 10 Pc. 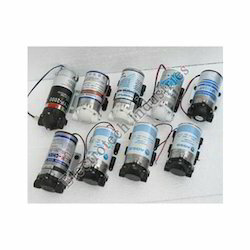 13 TRUFLO 100 GPD (Self Suction Pump) (Best Quality) 10 Pc. 14 OPTIMA 100 GPD (With 6 Months Warranty) 6 Pc. 15 B.N.Q.S. 75 G 6 Pc. 16 B.N.Q.S. 100 G 6 Pc. 17 AQ&Q K-36 8 Pc. 18 AQ&Q E-36 8 Pc. 19 AQ&Q E-100 8 Pc. 20 AQ&Q E-150 8 Pc. 21 Kemflo 100 GPD (24 V) 8 Pc. 22 Kemflo 48V 6 Pc. 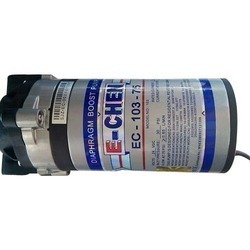 Electrotech Industries is a manufacturer and wholeseller of Water Pump for Ro System. 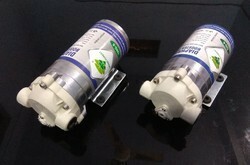 These RO pumps are developed at our advanced manufacturing unit in adherence with the industry standards. These are designed as per market demands and requirement of our clients. We offer Ro pumps in various designs, shapes and sizes in order to meet the requirement of our clients.